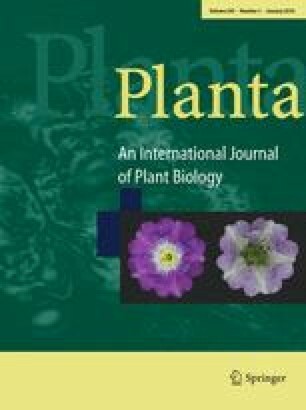 The aim of this work was to test the hypothesis that changes in cytosolic 3-phosphoglyceric acid (3-PGA) content can regulate the rate of starch synthesis in potato (Solanum tuberosum L.) tubers. The amount of 3-PGA was increased by expressing bacterial phosphofructokinase (PFK; EC 2.7.1.11) in transgenic potato tubers. The resultant 3-fold increase in PFK activity was accompanied by an increase in metabolites downstream of PFK, including a 3-fold increase in 3-PGA. There was also a decrease in metabolites upstream of PFK, most notably of glucose-6-phosphate. The increase in 3-PGA did not affect the amount of starch that accumulated in developing tubers, nor its rate of synthesis in tuber discs cut from developing tubers. This suggests that changes in cytosolic 3-PGA may not affect the rate of starch synthesis under all circumstances. We propose that in this case, a decrease in glucose-6-phosphate (which is transported into the amyloplast as a substrate for starch synthesis) may be sufficient to counteract the effect of increased 3-PGA.